Norway’s late King Olav V called it the greatest castastrophe in Norwegian history since the plague devastated the country in 1349. This week marks 70 years since the Norwegian liberation hopes raised by Soviet soldiers, who pushed occupying Nazi German forces out of Northern Norway in October 1944, turned to despair when the retreating Nazi troops responded by destroying everything in their wake. The subsequent suffering was enormous. It was to be remembered at various ceremonies in Norway’s northernmost county of Finnmark this weekend, which would be attended by Norwegian and Russian dignitaries alike. After being bombed repeatedly during World War II, the city of Kirkenes in Norway’s northernmost county of Finnmark, for example, lay in ruins, not least after fighting between the German and Soviet troops. Just weeks after fending off a German assault on Russian territory in the north, Soviet troops crossed the border into Norway and pushed the Germans out of Kirkenes. That led its residents, who’d had trade relations with the Russians for centuries, to view the Russian Soviets as their liberators. Just a few days later, however, Nazi German leader Adolf Hitler opted for a “scorched earth” military policy to make sure nothing would be left for the Soviet forces who were pushing his forces westward in Northern Norway. 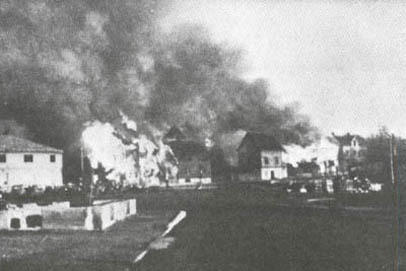 Hitler’s troops were ordered to burn and destroy everything they could. As a result, almost every single building in Norway’s vast northern area from Finnmark in the east to Hammerfest in the west was burned down or demolished, apart from a few churches. Within just a few weeks during the autumn of 1944, the nearby historic cities of Vardø and Vadsø were laid in ruin as were all other settlements and towns in the counties of Finnmark and Nord-Troms. In Honningsvåg, only the church survived, with its current keeper telling foreign correspondents on a visit there last year that the local German officer in charge of the city (and its destruction) had enjoyed playing the church’s organ during his tour of duty in city that today is the gateway to the North Cape. He made sure the church was spared, and it later gave shelter to scores of homeless. The Germans also destroyed their own facilities, such as a military hospital (or lasarett as it was called) located south of Lakselv. To this day, rows of charred iron beds and even kitchen equipment from Darmstadt can be found at the eerie sprawling site, now overgrown and long-abandoned. It’s unclear what became of its patients. A new museum in Hammerfest that specializes in the destruction and rebuilding of Northern Norway has stated that all told, around 11,000 homes, 4,700 barns, 420 businesses, 106 schools, 230 industrial facilities, several hundred fishing villages, 21 hospitals, 27 churches, 53 hotels and inns and 60 government buildings were torched in Northern Norway. The retreating German troops also destroyed bridges, telegraph lines and all other infrastructure that could be blown up or hacked apart. Nazi German leaders had first issued forced evacuation orders for Finnmark and Nord-Troms that uprooted an estimated 75,000 residents. Around 50,000 of them saw little choice but to flee south, carrying what belongings they could. Others defied the orders, hiding and living in caves, dirt huts or huddling in tents after being forced from their homes as winter set in. Back in Kirkenes, the Soviet troops had let as many as 3,500 local residents know, on October 25 1944, that they could emerge from the mine tunnel in nearby Bjørnevatn where they’d sought shelter, and even raise the Norwegian flag for the first time in nearly five years. The Germans were gone from their area, and despite the destruction around them, the Norwegians were grateful to their Soviet liberators, who remained in Kirkenes until September 1945 when they were recalled by the Soviet government. 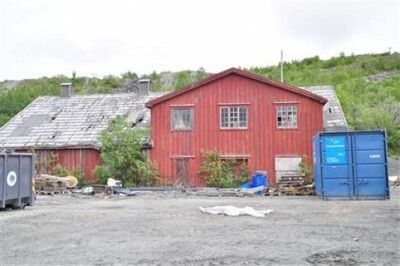 As newspaper Aftenposten recalled this week, the suddenly free residents re-established their township council in a former bath house used by mine workers called Rørbua, and set about trying to rebuild their local community. Help was slow to come from Norway’s exiled government in London, also after it returned to Oslo and a freed Norway, and the country’s northern areas remained depressed for decades. Only recently have tourism, new mining ventures and an emerging oil and gas industry revived the region’s fortunes. 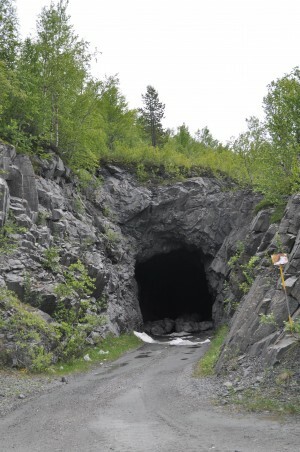 On Saturday, the late King Olav’s son, King Harald V, will be present when both Rørbua and what’s now called “the 1944 tunnel” are put under historical preservation orders. Both Norway’s and Russia’s foreign ministers will also be present, along with Norwegian Prime Minister Erna Solberg. The events of the fall of 1944 bind Norway and Russia together, claim local officials, also in the current climate of tense political relations because of Russia’s recent military aggression. There’s been concern that neither the dramatic evacuation and destruction of Finnmark and Nord-Troms 70 years ago, nor the Soviet liberation, have received the attention they deserve, either within Norway or internationally. Now the liberation, evacuation and destruction of the area reportedly are being dropped from school curriculum outside Northern Norway.